Ayjah Willis has worked at the Children’s Advocacy center of Suffolk County (CAC) since October 2017 - first as a Program Coordinator and since November 2018 as a MDT Coordinator. 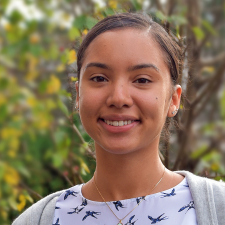 Prior to working at the CAC, Ayjah worked with youth on an inpatient Psychiatric Unit and as well as with children in intensive foster care placements. In her role as MDT Coordinator, Ayjah works directly with Families, Forensic Interviewers, Department of Children and Families, Boston Police, and the District Attorney’s office to coordinate forensic interviews. As MDT Coordinator, Ayjah works directly with these parties to make sure all available services are offered and that families receive prompt, supportive services. Ayjah has her Bachelors in Social Work from Regis College. Outside of the CAC Ayjah loves experiencing new food with her family and friends.